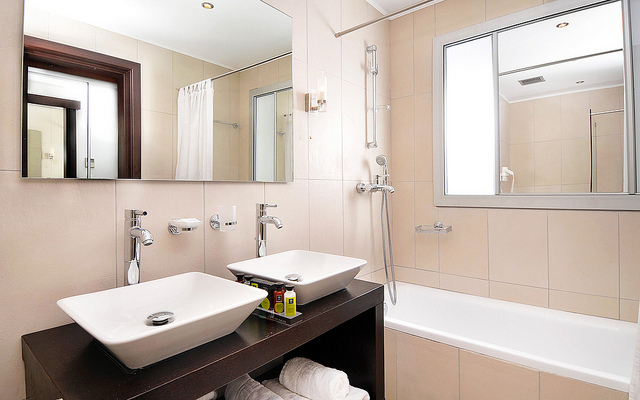 C&N Bathrooms delivers comprehensive professional bathroom installation in Crewe, and all surrounding areas in the North West and West Midlands. This includes upgrading or refurbishing existing bathrooms, and completely new installations for property extensions and new builds. A contemporary design with the best quality parts and appliances possible will give your new bathroom the 'wow' factor it deserves. C&N Bathrooms' years of experience in multiple related trades will ensure that your new bathroom installation or upgrade will have an attractive and modern design, and high quality workmanship. The end result is you'll have a well-fitted bathroom, completed in a reasonable time frame, with a design you'll be proud to have in your home. So if you're just thinking of upgrading an existing bathroom or a completely new installation in your property, go ahead and use the contact form for a no-obligation free quote. Please feel free to leave any feedback for C&N Bathrooms using the form below.